Until very recently, Welsh literary modernism has been critically neglected, both within and outside Wales. This is the first book solely devoted to the study of Welsh literary modernism, revealing and examining the modernism of eight key Anglophone Welsh writers. Throughout the book, the author demonstrates how the linguistic experimentation of Anglophone Welsh writers both reflects and constitutes their engagement with the modernistic conditions generated by unprecedented linguistic, social and cultural change in modern Wales. 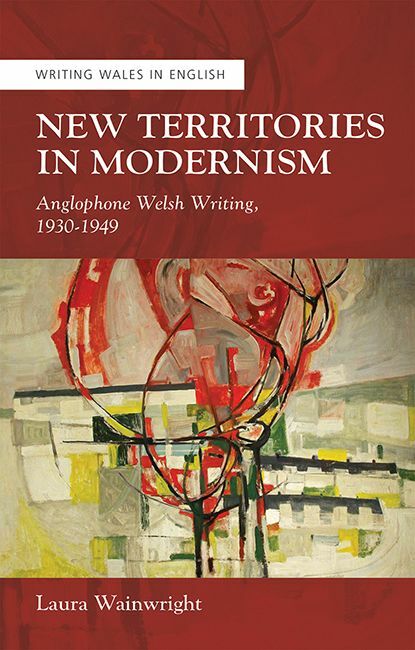 The author concludes that Anglophone Welsh writing in the period 1930–49 saw the emergence of a distinct Welsh modernism that now challenges conventional literary histories and, in more than one sense, takes modernism and modernist studies into new territories. "For many, Welsh Modernism begins and ends with Dylan Thomas. This stimulating study argues otherwise, demonstrating that Modernist experimentation was a natural outcome of the growing biculturalism and cultural hybridity of early twentieth-century Wales. Laura Wainwright’s is a bold, original contribution not only to our understanding of Wales’s Anglophone literature, but also to the ongoing scholarly enterprise of pluralising our conception of the Modernist Moment world-wide." "This exciting and original study shows how the cultural and linguistic disruptions of Modernism found expression not just in Paris and London, but also in rural Carmarthenshire and the valleys of south Wales – in the explosive, transformational language of Glyn Jones and Lynette Roberts, in the Daliesque Surrealism of Dylan Thomas, and the Expressionist grotesques of Gwyn Thomas. This pioneering study does indeed take us into new and unexplored territories." "New Territories in Modernismis a timely, illuminating, often brilliant critical study. Its great strength is that it simultaneously identifies the defining features of Welsh modernism, through meticulous close readings of a diverse body of texts, and situates this national cultural phenomenon persuasively within its wider European contexts."